Where you can grab awesome, enlightening, "woke", marketing tips & tricks. We'll try to keep the episodes under 10-mins for max consumption. In the day & age of course-overload, have you ever thought about creating a course? If so, listen to this episode for some helpful tips before building a marketing or sales course. The sequel to episode 2, where we discuss how to use LinkedIn & Facebook to drive high-quality B2B leads! LinkedIn and Facebook. How do we utilize both platforms, together, to make the magic happen? It’s all about how people, on these platforms, operate while ON the platform itself. So, we need to dive into their mindset to better understand how to leverage our messages and offers. 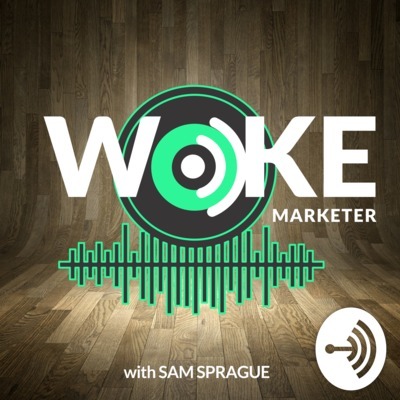 In this VERY first episode of Woke Marketer, Sam discusses where to start your marketing journey. With Facebook or Google? Which platform is better for marketing your business Organically or through advertising!